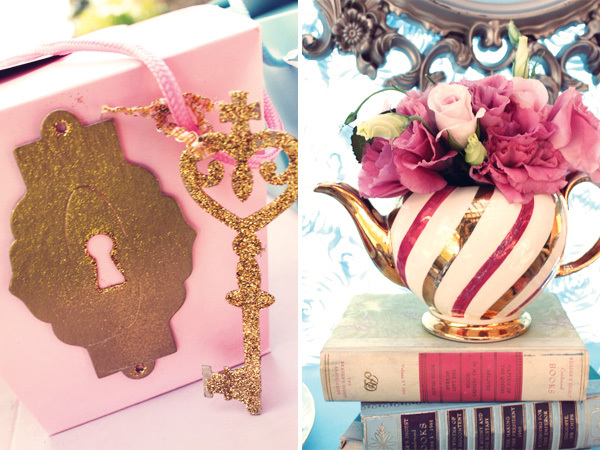 Pastel colours are the best way to work a vintage theme. Get light pinks and blues and mix the hues together and use adorable vintage grandma style elements to bring it all together. Troll antique stores and get floral and vintage style teapots and tea cups to decorate by putting flowers in the top instead of vases. Flowers will make any vintage style party pop and give it that old world feel (because there is something distinctively old about light coloured flowers). 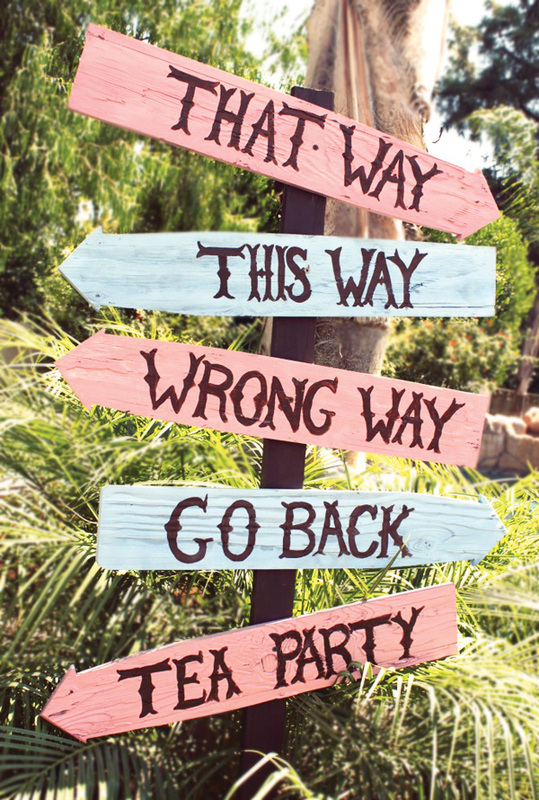 I’m a huge fan of using wooden plank signs to show guests where to go or not to go. Depending on what you want it to say the wood is usually always a plain colour and could work for anything from a “Don’t Open, Undead Inside” zombie style party to the cute little Alice in Wonderland crazy signs as above that were inspired by the Disney movie. The dessert table is where you can go crazy! 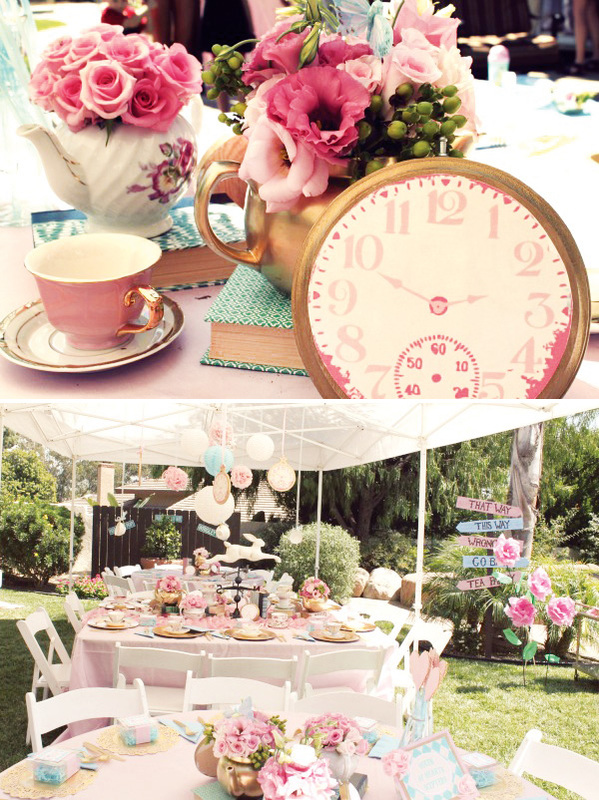 Use cupcake toppers and flags and signs to say “Eat me!” and use vintage milk bottles with little signs saying “Drink me!” Hostess used other Alice elements such as books, clocks, keys and mushrooms to incorporate the Alice in Wonderland theme, but used pastel colours in all the decorational and food to get the vintage look. 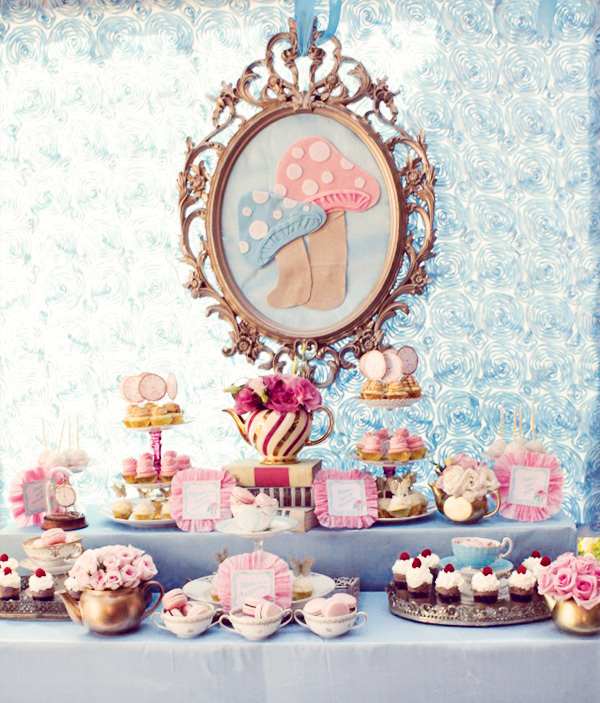 As usual, serve sweet items such as cupcakes and macaroons for your candy buffet but you can also add the cute vintage feel by serving them in teacups! I hope you enjoyed this Alice in Wonderland themed party special and I hope you have a lot of great inspiration on how you can join Alice in Wonderland through your event or party! I would love to see photos if you take any of these ideas into consideration so e-mail me at thepartyconnection@hotmail.com.